The world received a major wake-up call this week with the release of the Global Warming of 1.5°CReport from the Intergovernmental Panel on Climate Change (IPCC), which reports that severe impacts of global warming will happen much sooner than ever imagined. How Is the World Doing Toward Halving Food Loss and Waste? More large companies are measuring food waste, a major development in reaching the UN's goal to halve food waste by 2030, a new report illustrates. 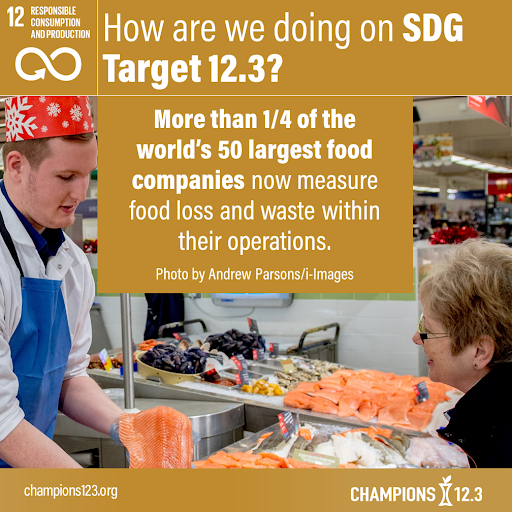 Three years ago, the United Nation’s outlined its Sustainable Development Goals (SDGs), which includes Target 12.3’s call to halve food waste and reduce food loss by 2030. We now have an update on progress.